Albert’s Printing NY offers Banner and poster printing that gets you noticed. 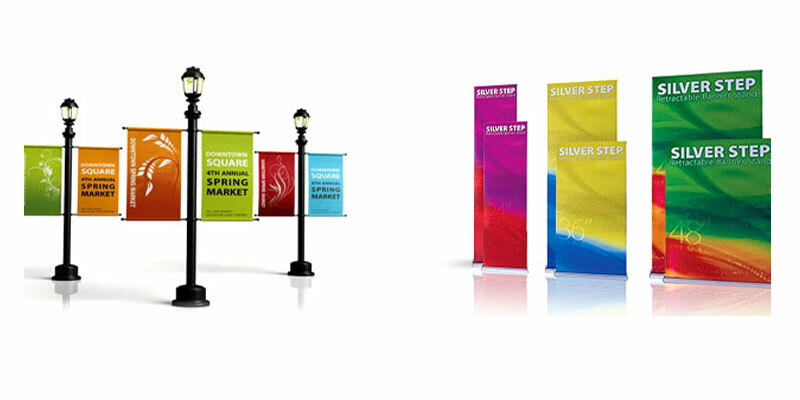 We offer a great value on all PVC banners and posters that are printed and mounted. Our custom sign banners and posters come in all types and sizes. With our focus being customer centric, we emphasize on the quality of the product by using the best materials and professional, technical and creative staff. We off a quality service with quick turnarounds, customized designs and a wide array of other signage needs; and all this at the lowest guaranteed price. We print the widest range of banners, customized and template, from vinyl banners to mesh, to canvas, to backlit banners and many more. So, if you are looking at increasing the visibility of your business in a quality, cost effective and convenient way, then you should go the Albert’s Printing NY way.